How Can We Create a Sustainable Future for South Louisiana? The Mississippi River was leveed in the early 20th century, specifically for the purposes of flood control and navigation. Relative to navigation, we created a world-class system. We walled the river in, hitching its power to creative engineering, the result of which has been a system which rivals any in the world. 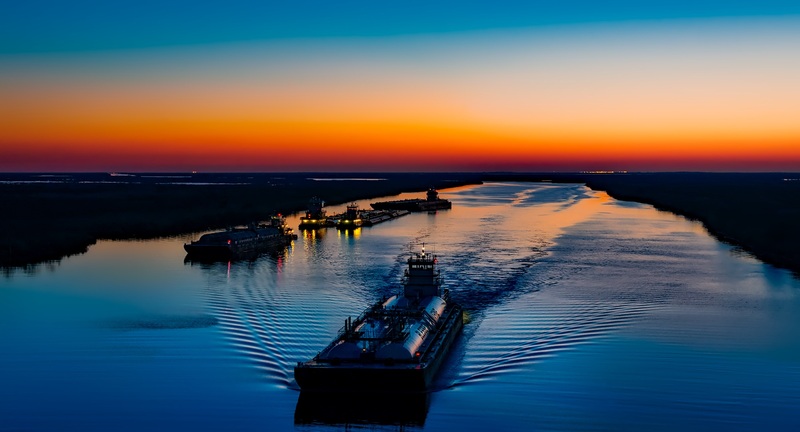 Specifically, the five Lower Mississippi River ports handle more than 500 million tons of domestic and foreign cargo annually, including exports and imports. Together, these area ports account for 20 percent of all U.S. waterborne commerce, including 60 percent of grain and 20 percent of coal and petroleum products. 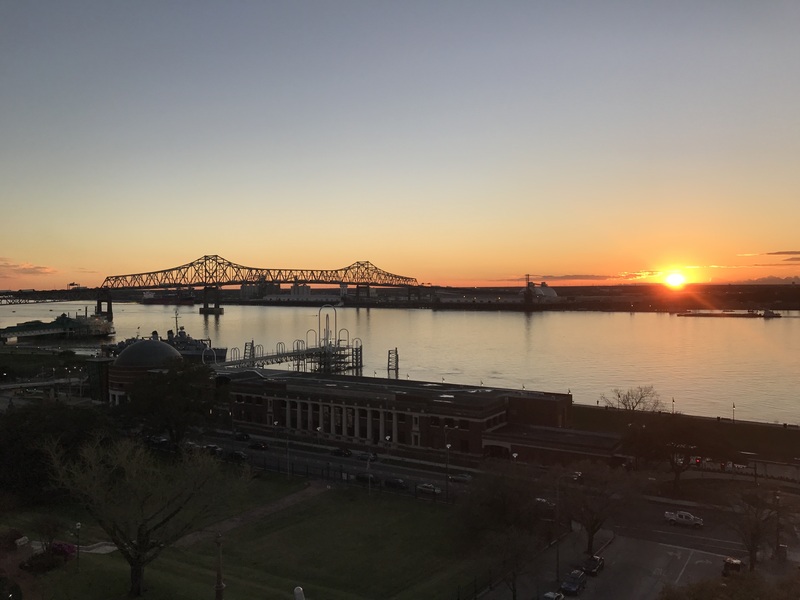 It has been everything that Thomas Jefferson thought it would be when he acquired the mouth of the Mississippi River as the crown jewel of the Louisiana Purchase in 1803. But – and there always seems to be a “but” in these stories – we harnessed the Mississippi River for a navigation system in a way that planted the seeds of that system’s destruction. When we walled in the river, we stopped the occasional – and essential – flooding of river water and sediment through the surrounding shallow bays, wetlands and coastal forests that built these physical features in the first place. The sediment and fresh water delivered through these natural flows created this delta in the first place and then maintained it through the years. When we ended the occasional flows, the supportive ecological connection between the river and nearby wetlands was directly severed. Losing that connection has played a huge role in driving Louisiana’s current land loss crisis, and this ongoing loss of coastal wetlands has left the navigation system and the river it depends on more exposed to storms and wind, putting the entire navigation system of the Mississippi River at risk. In short, this globally-significant port system is protected from the dynamic coastal challenges only to the extent that the buffering coastal lands that surround it are maintained and enhanced. That means that large-scale coastal restoration is an essential investment if we are to protect these critical navigation assets over time. So how can we create a sustainable future for south Louisiana that takes into account the needs of navigation and other industries? In 2013, the Changing Course Lower Mississippi River Delta design competition set out to answer this very question. Changing Course – an independent initiative led by local and national public, private and academic institutions – brought together teams of the world’s best engineers, scientists, planners and designers to show the art of the possible in creating a self-sustaining delta ecosystem. Building off Louisiana’s 2012 Coastal Master Plan, the teams, with input from the leadership team, technical team and stakeholders, including navigation, generated 100-year visions for a sustainable Mississippi River Delta. Reconnecting the Mississippi River to its wetlands to help restore southeast Louisiana. Planning for a sustainable delta, including a gradual shift in population to create more protected and resilient communities. Protecting and maximizing the region’s port and maritime activities, including moving the navigation channel further up within the system. Increasing economic opportunities in a future smaller delta through expanding shipping capacity, coastal restoration infrastructure, outdoor recreation and tourism and commercial fishing. The ideas generated via Changing Course will also be considered as part of the Lowermost Mississippi River Management planning study, a project funded by the Gulf Coast Ecosystem Restoration (RESTORE) Council. That study aims “to enhance ecosystem sustainability in the Mississippi River Deltaic Plain without negatively impacting navigation and flood risk management on the Mississippi River.” Earlier this year, the RESTORE Council voted to approve an amendment allocating $9.3 million in funding to the state of Louisiana to implement the Lowermost Mississippi River Management project. Learn more about Changing Course and winning designs at changingcourse.us. This is part 8 of our ongoing series where our experts will answer 10 fundamental questions with new and updated information, so that reasonable and scientifically-sound decisions can be made about the long-term sustainability of the delta and surrounding ecosystems. View an introduction to this series as well as posts on sediment, vegetation, diversions, levees, communities and fisheries.